Air Canada is getting a makeover. The carrier rolled out a new look last week, unveiling a new paint scheme for all of its aircraft as well as new uniforms for customer-facing employees. Air Canada offered the first look at its new branding during three simultaneous “reveal” events in Toronto, Montreal and Vancouver. Air Canada’s new image comes amid Canada’s 150th anniversary and as the airline tries to position itself as a top global carrier. 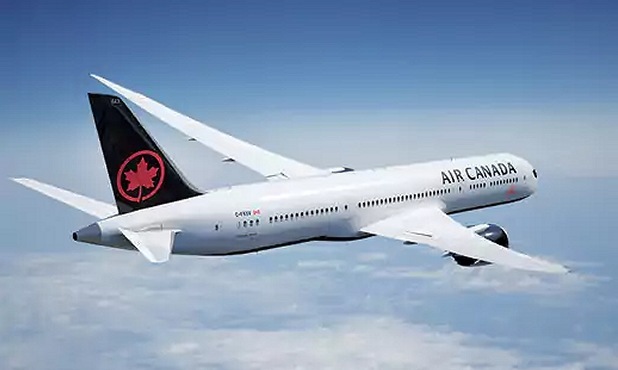 Air Canada released a series of images showing off its new livery, using its new Boeing 787 Dreamliner to model its new look. The airline’s entire fleet of 300 mainline and regional aircraft will be repainted in the new black and white design. “On behalf of our 30,000 employees world-wide, it is a privilege to fly Canada’s flag, and we are proud to showcase some of the best of this nation’s talent as we continue to expand Air Canada’s horizons to fly to more than 200 destinations on six continents,” Smith added in the statement. To view more photos of the new image as well as the employee uniforms at USA Today, click here.